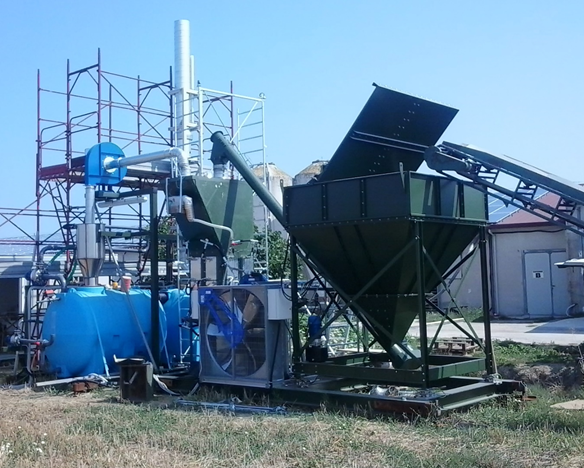 Tests are proceeding on the second prototype plant installed in the laying hen farm of Lorenzetti, Marche region. Our engineers are working hard and the first kilos of chicken manure are being used to run the plant and make the most from the tests. Indeed, by the end of the summer we should have the final results of the tests to be compared with the ones collected from the Fileni’s one – a broilers’ farm. The manure produced in laying hen and broilers’ farms are different, so the CHIMERA plant has to be efficient for both. That is why we installed two different prototype plants. Have a nice summer and keep following us!